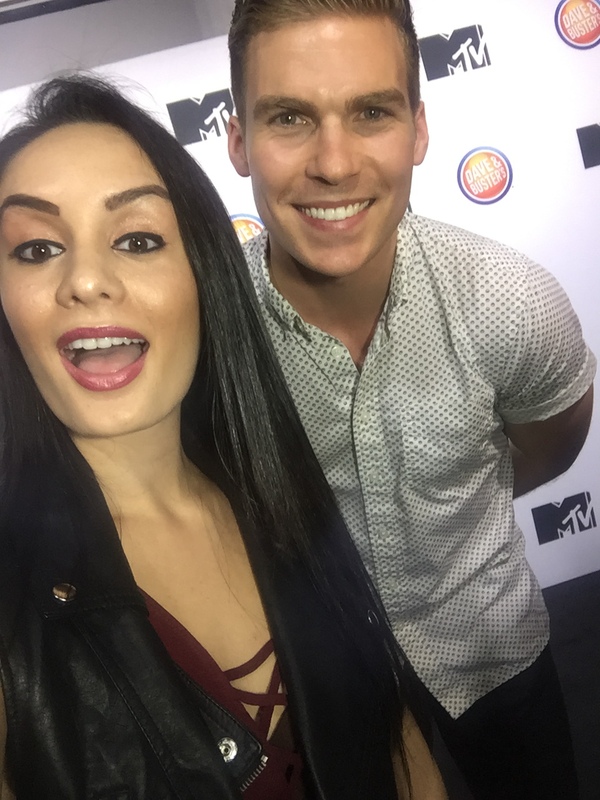 VIPAccessEXCLUSIVE: The Amazing Pete Ploszek Interview With Alexisjoyvipaccess At MTV’s “Teen Wolf” Premiere Party! Teachers are here to help you, guide you, and support you, and if you happen to go to Beacon Hills High School, then they might also be there to terrorize you. This sixth and final season of “Teen Wolf” has a lot of excitement, mysteries, adventure, and some terrifyingly good moments that you don’t want to miss. Another thing that this season of “Teen Wolf” has is a lot of villains including Pete Ploszek’s character, Mr. Garrett Douglas. Someone who may seem like a regular teacher is not exactly who you think he is, and he’s ready to stir some trouble at Beacon Hills High School. Pete Ploszek is truly an extraordinary and brilliant actor and he is a spectacular addition to the “Teen Wolf” cast who will bring magnificence to our TV screens. We’ve seen the remarkable Pete Ploszek take on the role of Leonardo in “Teenage Mutant Ninja Turtles: Out of the Shadows,” where he established himself as the immensely talented, profound actor that he is. Now, we all look forward to seeing his impeccable and awe-inspiring talent in the iconic MTV show, “Teen Wolf.” Make sure you study kids as Mr. Douglas is ready to bring school in session! I, Alexisjoyvipaccess had the greatest honor of covering MTV’s “Teen Wolf” and “Sweet / Vicious” premiere party and had an excellent time interviewing the magnificent and exceptional Pete Ploszek at the event. Pete Ploszek dished exclusively to Alexisjoyvipaccess all about what it’s like for him playing a villain on the hit MTV show and since the Ghost Riders are also significant villains in this season of “Teen Wolf,” Pete Ploszek talks about which character he would like the Ghost Riders to wipe out the memory of and what is one thing he would like that character to remember only in our VIPAccessEXCLUSIVE interview. Another big part of this season of “Teen Wolf” is all of the different time periods and Pete Ploszek spills on a time period his character time-travelled back to in the show – hear what he had to say in our VIPAccessEXCLUSIVE interview below. Thanks for the wonderful interview, Pete – it was a blast chatting with you! Previous VIPAccessEXCLUSIVE: The Phenomenal Rio Mangini Interview With Alexisjoyvipaccess At MTV’s “Teen Wolf” Premiere Party! Next VIPAccessEXCLUSIVE: The Magnificent Nick Fink Interview With Alexisjoyvipaccess At MTV’s “Sweet / Vicious” Premiere Party!